Literally as close as A to B, sharing a tiny border crossing and producing world class footballers, Argentina and Brazil have a profound influence on the fortunes – or misfortunes – of Manchester City. Like chalk and cheese, City’s Argentine imports have generally been A+ achievers whereas the Boys from Brazil have struggled to hit the dizzy heights of a B-minus, more often than not amounting to nothing more than a big fat ‘F’ for failure. The recent acquisitions of Fernandinho and Martin Demichelis present both players with opportunities; one to right the wrongs of his predecessors, the other to maintain the gold standard set by his colleagues. It’s perpetually perplexing why players from the greatest football nation on earth seem to bomb on the blue side of Manchester. It’s been happening since City first sounded to the samba beat under suave Swede, Sven Goran Eriksson, in 2007. Geovanni was first in – free of charge – after previously costing the likes of Barcelona and Benfica upwards of £30m in transfer fees. A scoring debut at West Ham and, more tellingly, a derby winner against The Dark Side, ‘Geo’ faded away as the season progressed and lasted just the one season. The enigmatic Elano, was next up at a cost of £8m from Shakhtar Donestk. The midfield maestro seemed to have it all – ball playing magic, beautifully crafted free kicks and the coolest penalty taking ever seen since Francis Lee and pre-Mario Balotelli. What he didn’t have was the heart for battle and, despite exposure to Ukranian winters, he lacked the appetite to slug it out through a demanding Premier League campaign. Worse was to follow in the shape of the languid, laid back – so much so he must have spent his life looking at ceiling tiles – Jo. An unmitigated disaster at £19m (allegedly) from CSKA Moscow, he netted a solitary top flight goal in 21 appearances. City were hard pressed to literally give him away, first to Everton, then Galastasaray, before finally waving ‘Tchau’ in 2011. 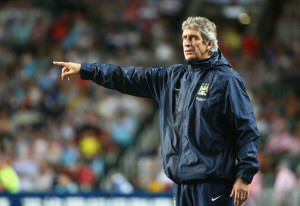 Amazingly, he’s now back in contention for Brazil’s 2014 World Cup squad – so who knows, England could yet have a chance! The £6.45m acquisition of Pablo Zabaleta from Espanyol saw a dramatic upgrade in City’s South American signings. However, Zaba was not – technically – City’s first Argentine import. In June 2002, Kevin Keegan bought £3.5m Matias Vuoso, an unknown striker from Independiente. He never made City’s First XI and was shipped out to Santos Laguna in Mexico’s Liga MX. Vuoso took Mexican citizenship, subsequently making 10 appearances and scoring four goals for the national team and, irony of ironies, it was one Sven Goran Eriksson, as Mexico coach, who gave him his debut. On the day Zaba signed, so too did City’s most obscure Brazilian international ever – Glauber. 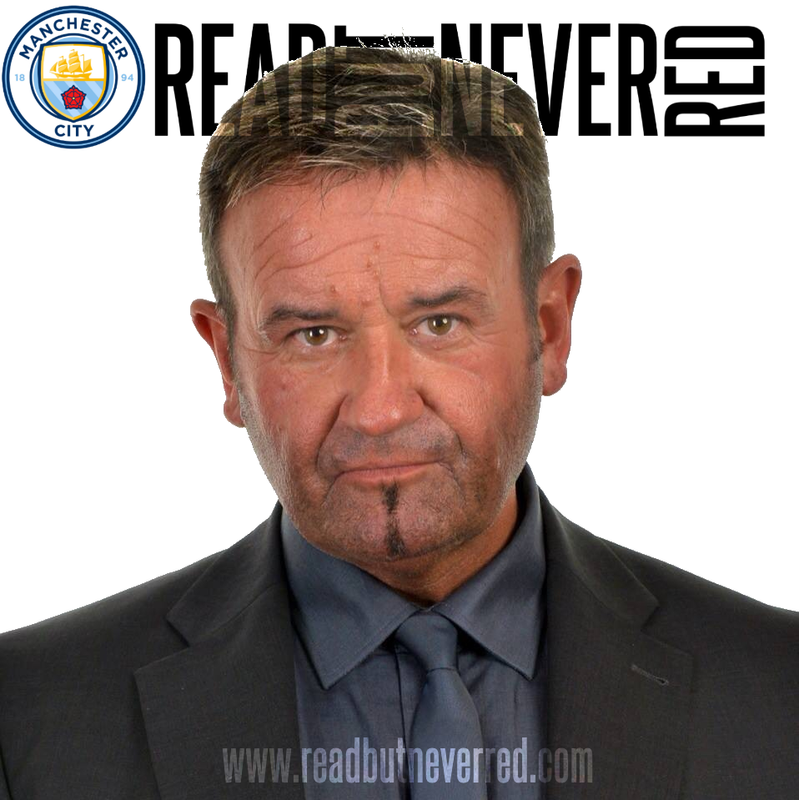 The full back recruited from FC Nuremburg, was City’s ‘Invisible Man’ before playing a full six minutes in the last game of the 2008/09 season. He achieved cult status and his every touch of the ball was jokingly cheered by the City support. Of course, Robinho famously arrived from Real Madrid for a record £32.5m,as City’s new Abu Dhabi revealed their ambitious plans for the future. He lasted 41 PL appearances and 14 goals before departing at half the price to AC Milan. But whereas Robinho was as lightweight as a meringue, City subsequently imported the culinary equivalent of prime Argentine steaks, with Carlos Tevez and Sergio Aguero. Pocket battleships both, the two strikers confirmed that the Argentine work ethic and mental approach, aligned to undoubted technical skills, is far better suited to the English game than the easy going, party loving lifestyle of the Brazilian contingent. Great expectations – Can box-to-box midfielder Fernandinho succeed where seven of his countrymen have previously failed? Top class Brazilian full backs Sylvinho and Maicon – both admittedly past their best – failed to ‘cut it’ with City in 2009/10 and last season, respectively, which brings us up to the present day and high expectations of Fernandinho. The midfield powerhouse from Shakhtar is City’s eighth Brazilian and unlike the seven that preceded him, the consensus is that he WILL be magnificent. As for the unfortunately injured before he’s kicked a ball, Demichelis, all he needs to do is adhere to the Argentine formula of graft, mental toughness and ability to succeed. City’s new South American signings will also have the distinct advantage of being guided by a manager from the same continent in the shape of Chile’s Manuel Pellegrini. If you vote for Read But Never Red – A BIG THANK YOU. If you don’t then thank you for reading in the first place! This article was first published on the Manchester City FC website in September but is being reproduced here just in case it slipped under the radar of any RBNR readers. City yet the Argentina ones brilliant strange one. I for one hope Fernadinho makes the grade.